The ability to read and write in the local language can make a big difference to an individual when he or she is seeking employment or trying to participate in community programs and services. With that in mind, St. Andrew’s started an ESL Program in the Fall of 2014. We have very dedicated teachers, offering classes both in the morning and evening in order to accommodate various work schedules. We offer a casual “conversation class” in addition to the structured classes, for those who want to improve their conversational skills, both for understanding the English language and for more proficient speaking. If you are interested in registering for classes, or becoming a volunteer in our program, please fill out the form below. 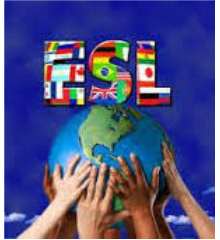 Do you want registration information for ESL Classes?